319 N 78th St, great food, free admission! Once again I'll be joining Tyler and Sandy for a 37 Years show at this lovely intimate wine shop in Papillion. yes it's the annual Aquarian Festival, featuring retro music by the Fishippies, Mike Brock, Terry Little, Blues Agent and more! I'll be playing with Toni Allen and with 37 Years! no cover charge - put on your tie-dyes and join the fun! This year's event will be hosted by The New Frontier Bar, 8516 N 30th St, Omaha NE in Omaha's historic Florence district. This event is CANCELLED due to weather. Sorry for any inconvenience. This event, presented by Omaha's Tri-Faith Initiative, is a series of panel discussions featuring representatives from Temple Israel, American Muslim Institute, and Countryside Community Church. I've been asked to provide warm-up music prior to the discussion time. Topic: Will the Real _______ Please Stand Up? Some humored and faith-filled reflections on identity and boundaries. $15 suggested donation. Buffet dinner included. Seating is limited, so please register. Topic: Wait, What Exactly Are We Fighting About Again? Reflections on some of the most challenging aspects that faith leaders deal with: conflict, war and violence. My father, Rev Ron Knapp, Minister Emeritus of First Unitarian Church will be giving a presentation for the Omaha AHA Group (Atheists, Humanists, and Agnostics) on Exploring Imperatives of Liberal Religion, which will encompass such ideals as inquiry, doubt, reason, and dialogue. Dad has asked me to do a couple songs as part of his program. This event has been postponed due to unforeseen circumstances at the Blumkin Home. Rescheduled for March 27th. Join us for the Brazen Head's 20TH ANNIVERSARY CELEBRATION! We know many people travel for the holidays, or may have family plans that prevent them from attending services on Christmas Eve. So at Urban Abbey we offer an early Christmas Eve Service with candlelight and acoustic guitar liturgy. All are welcome! Wednesday December 19th at 7:00pm. An intimate acoustic concert of holiday music by Kyle Knapp held in the beautiful sanctuary of historic First Unitarian Church. This event is part of their annual fundraiser auction. 108th & W Center Rd, over 150 artists, food court, fun activities, free admission! I'll have a space on the plaza near the food court. This Sunday's liturgy at Urban Abbey will be conducted by our ukulele ensemble! (I will actually be accompanying on guitar). Always a fun time! Urban Abbey is located at 1026 Jackson St in Omaha's Old Market. Service times are 9:00am and 11:00am (there will be no evening service this week). We're performing for a meeting of the Danish American Club. Meeting is for members only, but anyone can join for $10 (click here for more info). Vino Mas is a classy wine place just a block south of Maple off 132nd St. They offer a wonderful wine selection, a modest hors d'oeuvre menu, a warm, friendly atmosphere, and free live music! If you're looking for a place to celebrate Easter, consider joining me for services at Urban Abbey. I'll be playing and singing acoustic guitar liturgy for 6:30am, 9:00am, and 11:00am services. (There will be no 5:30pm service on Easter). Urban Abbey is a lovely little coffeehouse/bookstore in Omaha's historic Old Market, but you may not be aware that it is also a welcoming, inclusive, socially-conscious spiritual community (affiliated with the United Methodist Church), with worship services every Sunday. Come check us out sometime! yes it's the annual Aquarian Festival, hosted by Ron Green and featuring retro music by the Fishippies, Mike Brock, Tom Lucas, Toni Allen, Blues Agent and Astral Train! I'll be playing with 37 Years starting around 8:50pm! This event has been postponed due to unforeseen circumstances at the Blumkin Home. Rescheduled for March 25th. For over a century our most treasured lands and historic sites have been preserved for future generations as National Monuments. In December the government plans to eliminate vast portions of the Bears Ears and the Grand Staircase-Escalante National Monuments. The Omaha Concert for National Monuments is presented in solidarity with Utah Dine' Bike'yah, a Native American-led grassroots nonprofit organization working to promote healing of people and the earth through conservation of cultural lands. Thanksgiving Eve celebration at The New Frontier Bar in Omaha's historic Florence district. Come on out, enjoy the music, dance, and raise a glass of gratitude with us. Back again for another evening at Twisted Vine with 37 Years. Always a good time! Come join us! Open mic hosted by yours truly - come share your talent! Come join me for an intimate solo concert at the Urban Abbey in Omaha's beautiful Old Market. Admission is free, and 5% of the coffee bar sales goes to benefit the great work of Omaha Together One Community. OTOC exists to recreate community in our fragmented society, connecting people across racial, economic, religious, and ethnic lines. Come enjoy an evening of acoustic music and support this great cause. Folk Festival featuring An Evening, 37 Years, Terry Little, Kaylyn Sahs, and Belles & Whistles!. Come hear an evening of great music in the midwest's premier outdoor venue! Benson Plant Rescue is a unique charity that reclaims all types of unwanted plants and uses them to provide community gardens and gardeners with low cost or free seeds, plants, and program, as well as benefitting Omaha's Public Librarys, food pantries, homeless shelters and other local nonprofits. 37 Years will be providing entertainment for their dinner event on May 24th, 5-6pm. Call 402-933-3867 or visit their Facebook page for more info. Yes we're back for another show at Vino Mas! This classy little place offers a wonderful wine selection, a modest hors d'oeuvre menu, a warm, friendly atmosphere, and free live music! Yes, we're playing again at The New Frontier Bar in Omaha's historic Florence district. I'll be joining Tyler and Sandy for a 37 Years show at this lovely intimate wine shop in Papillion. Come celebrate tax day with us! Vino Mas offers a wonderful wine selection, a modest selection of hors d'oeuvres (they don't have a full-service kitchen, but you can bring your own food), a warm, classy atmosphere, and free live music. Come join us, won't you? Omaha Together One Community exists to recreate community in our fragmented society, connecting people across racial, economic, religious, and ethnic lines. Come enjoy an evening of acoustic music and support this great cause. New concert series in the atrium of Hotel RL, 3321 S 72nd St in Omaha! 7:00-8:00pm, Free Admission, All welcome! The New Frontier Bar was recently opened by our good friends Mike & Sherry Brock in Omaha's historic Florence district. Come join us for a glass of Jameson's, Irish Coffee, or green beer and help us celebrate Saint Patrick! yes it's the annual Aquarian Festival, hosted by Ron Green and featuring retro music by the Fishippies, Mike Brock and more...! I'll be playing with both the Fishippies and 37 Years! This year's event will be hosted by Shamrock's Pub, 5338 N 103rd Street (103rd & Fort) in Omaha. The New Frontier Bar was recently opened by our good friends Mike & Sherry Brock in Omaha's historic Florence district. We'll be pulling out our vast repertoire of love songs in honor of Saint Valentine! I'll be doing a couple songs, leading some sing-a-longs, possibly accompanying some other singers, at this annual western-themed fundraising event. Yes, they've invited us back for a third show! Vino Mas offers a wonderful wine selection, a modest selection of hors d'oeuvres (they don't have a full-service kitchen, but you can bring your own food), a warm, classy atmosphere, and free live music. Come join us, won't you? 6:00-9:00pm at the Pizza Shoppe 6056 Maple St in Benson. NODAPL Protest Legal Defense Fundraiser. Acoustic artists sharing their talents to raise money to help with legal expenses for our friends who have been arrested while protesting in solidarity with the Standing Rock Sioux people. For those interested in further supporting the cause There will also be a show at the 21st Saloon on November 13th featuring 7 bands, including Black Sabbath tribute band Sabbath's Disciples and others. It's been awhile, so Tyler, Sandy and I are excited about once again performing at Crescent Moon Coffee. Located in the lower level of the Haymarket district's historic Apothecary Building, 8th & P, Crescent Moon offers great coffee (and other goodies), friendly baristas, and a warm welcoming atmosphere. Join us, won't you? 8-10pm, free admission with any purchase. We had such a great time here last month, we're delighted that they've invited us back! Vino Mas offers a wonderful wine selection, a modest selection of hors d'oeuvres (they don't have a full-service kitchen, but you can bring your own food), a warm, classy atmosphere, and free live music. Come join us, won't you? Open mic hosted by yours truly! First Friday Wine Tasting - enjoy wine, hoers doevres, and live music by 37 Years (with Kyle), all in the beautiful ambience of Fairbury's historic Stagecoach Mall. 508 E Street in downtown Fairbury. I'll be doing a few songs as part of First Unitarian's Sunday morning service. Minister Emeritus Ronald Knapp (yep, he's my Dad) will be giving the sermon based. All welcome. NEW VENUE - come check it out with us! Ron Knapp (my Dad), in association with Omaha Metro Area Humanist Association (OMAHA), presents a series of discussions exploring humanistic aspects of literature, hoping to engage Secular and Religious Humanists in a shared literary experience. I've been asked to perform a couple songs in this month's program on the theme of social justice. Ron Knapp (my Dad), in association with Omaha Metro Area Humanist Association (OMAHA), presents a series of discussions exploring humanistic aspects of literature, hoping to engage Secular and Religious Humanists in a shared literary experience. I've been asked to perform a song as part of this month's program, which celebrates the poetry of Robert Frost. 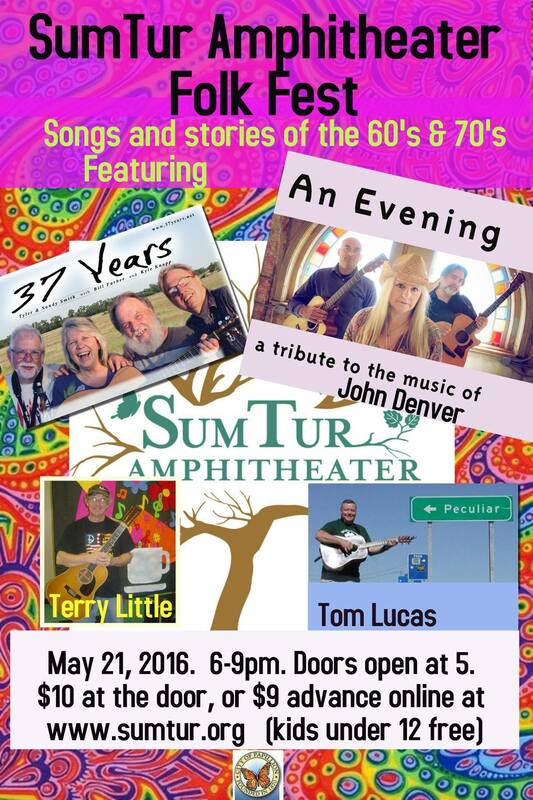 Folk Festival featuring Terry Little, Tom Lucas, 37 Years, and An Evening. Come hear an evening of great music in the midwest's premier outdoor venue! This year's event will be hosted by the Arena Bar & Grill, 3809 N 90th Street in Omaha. Ron Knapp (my Dad), in association with Omaha Metro Area Humanist Association (OMAHA), presents a series of discussions exploring humanistic aspects of literature, hoping to engage Secular and Religious Humanists in a shared literary experience. This month's program, The Unexpected Universe, focuses on the works of Loren Eiseley, and will feature an original song by (guess who) Kyle Knapp! This event has been POSTPONED until APRIL 30th. Visit the Aquarianfest website or Facebook page for the latest info. Sorry for any confusion or inconvenience. Featuring: Terry Little, John Kool, The Old Krusty Minstrels, Nancy & Halle McCartney, 37 Years, Tom Lucas, Stephen Reed, Jonathan Little, Scott Ussery, and maybe a surprise or two. (I'll be singing with 37 Years - I expect we will be onstage around 8ish). Turns out there's a conflict with our scheduled gig time (a Nebraska football game), so this engagement is being postponed until sometime in January or February. Stay tuned, we'll let you know. Classy atmosphere, great food, gourmet coffee and snacks, free admission! First Friday Wine Tasting - enjoy wine, hoers doevres, and live music in the beautiful ambience of Fairbury's historic Stagecoach Mall. Ron Knapp (my Dad), in association with Omaha Metro Area Humanist Association (OMAHA), presents a series of discussions exploring humanistic aspects of literature, hoping to engage Secular and Religious Humanists in a shared literary experience. This month's program, I Am Woman, will feature a couple of original songs by (guess who) Kyle Knapp! I've been invited to perform in a Disney Tribute show hosted by Brad Hoshaw at the Barley Street Tavern in Benson. Show features several singer-songwriters each performing their own interpretations of classic Disney songs. Gourmet coffees and other treats, and a seriously cool atmosphere! See you there! Classy atmosphere, great food, gourmet coffee and snacks, free admission! Bill Farber will be joining us too! with Connecticut's official State Troubadour, singer-songwriter Kristen Graves and Omaha's own Michael Murphy! Ron Knapp (my Dad), in association with Omaha Metro Area Humanist Association (OMAHA), presents a series of discussions exploring humanistic aspects of literature, hoping to engage Secular and Religious Humanists in a shared literary experience. This month's program, Earth, Sacred Beyond All Measure, will feature a couple of original songs by (guess who) Kyle Knapp! Singing at Saturday 8am men's breakfast, Saturday evening coffeehouse, Sunday morning & evening worship services. yes it's the annual Aquarian Festival, hosted by Ron Green and featuring retro music by the Fishippies, Mike Brock and more...! I'll be playing with both the Fishippies (9:45) and 37 Years (10:35)! Join me at MoJava for a mellow intimate acoustic show. I'll be doing some of my usual material, and will also be joined onstage by Vicki Lynn, sharing some songs from her new CD Hannah's Prayer. NOTE: Huckleberry's is CLOSING as of THIS WEEKEND - this will be your LAST OPPORTUNITY to see us in this great venue! Yes, we're playing again at Huckleberry's in Florence. Good food, a warm, beautiful ambiance, great music - come on out! We'll be playing there Friday AND Saturday evenings! Huckleberry's is a classy new coffee/wine place in Florence. They offer great food, a warm, beautiful ambiance, and live music on the weekends! I'll be playing there Friday AND Saturday evenings! Huckleberry's is a classy new coffee/wine place in Florence. They offer great food, a warm, beautiful ambiance, and live music on the weekends! We'll be playing there Friday AND Saturday evenings! Free event to benefit Mary Francis Kepler (lead singer of Peace Love Etc) who is fighting breast cancer. Event features several bands, including Peace Love Etc, Come Together, Funk Trek, 37 Years and others, as well as food, a beer garden, and a silent auction. 6-8pm in Papillion City Park, Washington & Lincoln Streets. ...TONIGHT!!! Just today a situation arose where the New Humans need an opening act for their gig this evening at Zephyr Lily Cafe, 4950 Dodge Street in Omaha. They've asked me and 37 Years to fill the slot. This, as I understand it, will be an "original music only" event, so I'll be sharing a couple of my own original songs as well as accompanying 37 Years on some of theirs! Show starts at 7:30, New Humans follow around 8:30 until 10pm. No cover charge. BYOB, no uncorking fee, sounds like a cool place! Call 402-932-9971 for reservations. Benefit for Siena Francis House, featuring bands, costume contests, Dr San Guinary, and, of course, zombies! Event is all day 10am-5pm, free admission. I'll be performing in the afternoon (approx 2-5pm). Silas Ministries is a missions group that provides a variety of services to needy people in India, Kenya, Malawi and other places. I'll be singing a couple songs at their annual fundraiser, which will also feature former Univ.of Nebraska football coach Tom Osborne as keynote speaker. I'll be doing a few songs as part of First Unitarian's Sunday morning service. Minister Emeritus Ronald Knapp (yep, he's my Dad) will be giving a sermon based on the poetry of Stephen Crane. 60th & Center location. 6:300PM. No cover charge, tips accepted. Once again the Unity folks have invited me to share a couple songs as part of their regular Sunday morning service. All welcome! This fundraiser will benefit victims of violence with financial help, counseling, help with court costs, etc. Program runs 4-10pm and features a variety of musicians and speakers. to be held again at Gator O'Malley's, 120th & Center, 7pm to ?? Now, put on your bellbottoms and love beads, and come help us make a statement for love and peace! 60th & Center location. 7:00PM. No cover charge, tips accepted. Held at Beautiful Savior Lutheran church, 7706 S 96th St in La Vista. Join me at MoJava on Friday Aug 31st for a mellow intimate solo show. Yes, back again to Crescent Moon Coffee in the lover level of the Apothecary Building 8th & P (just below Ten Thousand Villages)! This is a great place with a really cool retro atmosphere, great coffee and other good stuff, and live music! Got my wires crossed, sorry - DAN LIVINGSTON is playing this year for the Spring Fever Craft Show. Held at Rockbrook Village Shopping Center, 108th & W Center, this event features dozens of crafters displaying their work from 10am to 5pm on May 5th, and live music on the plaza from 1 to 3pm. Admission is free. I'll be doing an opening set to help Accidental Proffit celebrate the release of their new CD, "Living in Babylon"
Sorry, this event has been cancelled - not enough people signed up. 6:30-8:30PM - $30/person ($15 if you register before April 19th), includes wine & hot appetizers. Stay overnight for an additional $40/person. Space is limited - reservations required. Knowles-Mercy is a spiritual retreat center situated on 22 acres of scenic woodland along the Platte River. held at PS Collective, 6056 Maple St.
Mo Java is a great place to relax and enjoy great music with a fine cup of coffee. For Oct 14th the featured artist is 37 Years! They've asked me to join them onstage, and I will try to be there - not totally sure if I'll be able to make it at this point. But with or without me, it'll be a great show. Yep, I'm coming back to Crescent Moon's totally retro-cool location in the lover level of the Apothecary Building 8th & P (just below Ten Thousand Villages)! As always, great coffee (and other goodies), friendly baristas, a warm, welcoming atmosphere, and live music! That's right - two weeks in a row! 60th & Center location. 7:00PM. Be there or be square! The Unity folks have invited me to share a couple songs as part of their regular Sunday morning service. All welcome! 60th & Center location. 7:00PM. No cover charge, tips accepted. Always a fun gig - hope to see you there! 60th & Center location. 7:00PM. No cover charge, tips accepted. This is always a fun gig - hope to see you there! held at Rockbrook Village Shopping Center, 108th & W Center, the 23nd Annual Spring Fever Craft Show features dozens of crafters displaying their work from 10am to 5pm on May 7th. Admission is free. Once again Tyler and Sandy join me onstage at Crescent Moon in their new location in the Apothecary Building 8th & P (lower level, just below Ten Thousand Villages)! Join us for great coffee (and other goodies), friendly baristas, and a warm welcoming atmosphere. Mo Java had a cancellation, so once again 37 Years will be playing there this Saturday, joined onstage by yours truly! Join Tyler Sandy and me at Crescent Moon in their new location in the Apothecary Building 8th & P (lower level, just below Ten Thousand Villages)! As always, great coffee (and other goodies), friendly baristas, and a warm welcoming atmosphere, all in 3-part harmony! free admission (tips appreciated), great coffee, soups and sandwiches, intimate listening room. See you there! to be held at Gator O'Malley's, 120th & Center, 7pm to ?? Once again on the prodigious Mo Java stage I'll be joined by 37 Years (Tyler Smith & Sandy Cunningham) performing original songs, folk classics, and a few surprises! Join me at Crescent Moon in their new location in the Apothecary Building 8th & P (lower level, just below Ten Thousand Villages)! As always, great coffee (and other goodies), friendly baristas, a warm, welcoming atmosphere, and live music! 7:00-9:00pm, 48th & St. Paul St.
6056 Maple St - Once again I'm playing with Tyler and Sandy at the Pizza Shoppe in Omaha's Historic Benson district. Show will also feature Bill Farber on flute & sax, and Rick Dau on drums. Great food, great music, classy listening room - Come for dinner, stay for the show! 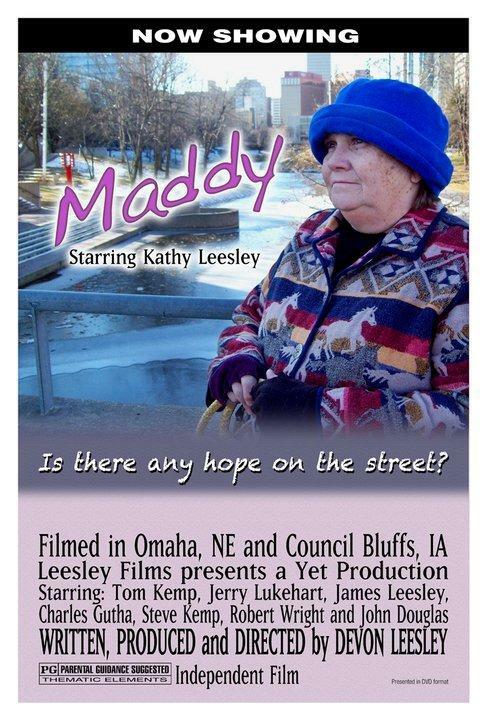 a MOVIE, filmed here in Omaha, starring Kathy Leesley, featuring a performance of "Harbor for the Homeless" by Kyle Knapp. This movie is showing for FREE at Twin Creek Cinema in Bellevue, Saturday November 6th at 11am. 6056 Maple St - Once again I'm playing with Tyler and Sandy at the Pizza Shoppe in Omaha's Historic Benson district. Also featured will be special guest Sharaya Mikael from Portland OR! Great food, great music, classy listening room - Come for dinner, stay for the show! NEW VENUE! Come join us, just a stone's throw west of Omaha, at Don Carmelo's in Elkhorn NE. Enjoy real New York style pizza and the fun sounds of 37 years! Crescent Moon closed last month, but has reopened in a great new location in the Apothecary Building 8th & P (lower level, just below Ten Thousand Villages)! 8-10pm, free admission with any purchase. 37 Years at Crescent Moon Coffee's NEW LOCATION! Crescent Moon closed last month, but has reopened in a great new location in the lower level of the Apothecary Building 8th & P! 37 Years will be performing their originally scheduled date, and I will be joining in the fun. Come see us, and check out Crescent Moon's new digs! Located inside the Christian Community Fellowship Church at 1640 W. Military Ave. Fremont NE, The Real Rock Cafe is a collection of artists, musicians, and writers with the common goal of using their talents to minister to the community. Snacks and refreshments will be available during the concert. Crescent Moon Coffee, my very favorite venue, will close their doors permanently on Thursday May 20th. This will be my last opportunity to perform there. Weather permitting, we'll be in the courtyard. Tony Church will also be performing (7:00-8:30 I think). Join us if you can, and bring hugs and tears and well-wishes for the Martinsons. Java N Ice Anniversary Party! The new owners of Java N' Ice are throwing a party to celebrate their first year in business. Come for great coffee drinks, tempting ice cream treats, and live music all afternoon! Located in the Rockbrook Village Shopping Center. free admission. held at Rockbrook Village Shopping Center, 108th & W Center, the 22nd Annual Spring Fever Craft Show features dozens of crafters displaying their work from 10am to 5pm on May 1st. Admission is free. to be held at Sean O'Casey's, 107th & Q, 7pm to ?? 6107 Maple St 7:00-10:00pm free admission (tips appreciated), great coffee, soups and sandwiches, intimate listening room. See you there! Yes it's a CD RELEASE show on the illustrious Mo Java stage! Come get your own copy of 37 Years' new album Do You Remember Me? good food from the Pizza Shoppe, classy listening room with top-notch sound system, and a new CD from 37 Years! Once again on the prodigious Mo Java stage I'll be joined by 37 Years (Tyler Smith & Sandy Cunningham) performing original songs, folk classics, and a few surprises! Hopefully, the new 37 Years CD will be available by then - come and see us! Motorcycle Run - $15 Registration at 11 a.m.
60th & Center location. 7:00-9:00PM. No cover charge, tips accepted. "Psalmus Humanus and Six Prayers"
6107 Maple St 7:00-10:00pm free admission (tips appreciated), great coffee, intimate listening room. See you there! Stir-Up Days is an annual festival to promote awareness of the rich history and amenities of this underappreciated community. with 37 Years (Tyler Smith & Sandy Cunningham)! Jay West will be doing a series of revival meetings at Beautiful Savior, and has asked me to do the music service for this one. Event starts at 7pm, admission is free, even child care is provided! Once again, I'm doing special music as part of First Unitarian's "flower communion" service. This is a really nice annual springtime event where congregants bring and share flowers. this is an "open mic" event to be held at Mr Goodcents at 759 N 114th St in Omaha, hosted by Allan Pettit of Vertical Eye magazine. I don't know much about it, who's playing, what the rules are etc, but if it goes well they may make it a weekly event. So if you don't have other plans, come on out and enjoy a sub sandwich or pasta, serenaded by local musicians and poets. Bill Farber, floutist extraordinaire, has asked me to accompany him on guitar as he provides jazzy, instrumental mood music for Mia's dinner crowd. This is a little outside my comfort zone, but Bill and I have jammed together enough to think this could be a lot of fun. I don't believe there's a cover charge, but be sure and bring your wallet, as you'll definitely want to check out Mia's menu of vegetarian and exotic delights. Sorry to cancel on such short notice, but I've just been notified that Jones Coffee is closed... Rumor has it they may be reopening later under new management, but if you go there on Saturday to hear me Tyler & Sandy, the doors will be locked, and we won't be there. free admission, gourmet soups, coffees & more, intimate environment, friendly staff. See you there! the Dalziels are an award-winning, high-energy folk/acoustic duo from eastern Iowa - it's a total privilege to be able to share their stage! The Listening Room is a concert series featuring some of the finest acoustic artists from around the country, held in a classy, intimate auditorium inside the Knights of Pythias Hall. This will be a great show! For more info call Robin Harrell at 402-463-6248. This is a non-smoking event; food and drinks are available. New Venue! In addition to their signature bagels and gourmet coffees, Bagels & Joe now features live music on the 2nd & 4th Fridays of each month. On Friday nights they also have a full food menu including salads, soups, wraps and more, so consider making it a dinner date! held at Sean O'Casey's, 107th & Q, 7pm to ?? put on your bellbottoms and love beads, and come help us make a statement for love and peace! This is one of my favorite gigs! February can be chilly in Nebraska, but I invite you to brave the elements and come out for an evening of mellow acoustic music, warm ambiance, and great food and beverages served by smiling, friendly baristas! This is a seriously fun event - plan to come if you can! Kicking off the New Year at one of Lincoln's finest coffee-and-acoustic-music venues! This time I'll be joined onstage by Tyler Smith & Sandy Cunningham (who perform as a duo under the name "37 Years"). Many of you have heard Tyler before, either solo, with me, with Vicki Lynn or with "Country Jonah in the Fish" or "Accidental Proffitt" - performing with Tyler is always a treat. Now he and Sandy have a repertoire of new and old originals as well as classic folk tunes. This show will feature some of their songs, some of mine, and some together. Come out of the cold and join us for an evening of hot beverages and warm music! November? Might be a bit chilly for an outdoor show in the courtyard. If so, we'll be cozy inside! download Mo Java's 2008 Fall concert schedule here"
This morning I'll be sharing with group of Christian believers who meet in homes. If you're interested in joining us, let me know and I'll get you the contact info. This will be a fundraiser to benefit Moose Charities. Dinner at 7 p.m. and music at 8 p.m. Music features performances by the Fishippies, Tricoustic, and (ta-da!) Kyle Knapp. The RendezVu is located at 1 East Wilson in Batavia, Illinois. That's right, the fabulous Fishippies will be featured on WGN's noon show - I'll be playing bass. The Barking Spider is Cleveland's premier acoustic music venue, so I'm totally stoked about playing here! I'm onstage 8:00-9:30, followed by husband-wife roots/acoustic duo Brent Hopper & Brittany Reilly. No cover charge, tips appreciated! Featuring Marc Imboden, Craig Watson, Kyle Knapp, Tom Howie and Greg O'Haver. so we decided it was best to cancel - sorry to disappoint any of you. I'll be back at Crescent Moon on November 22nd! 10am - This Sunday morning's service will be outdoors under the big tent! the MAMF will feature over 100 artists from Sept 3 thru 7th at The Waiting Room, PS Collective, Micks, Barley Street Tavern, the Foundry and other venues. I'll be playing at Mia's Bongo Room on the 6th at 7:30, followed by Rusty Scott at 9:00 and Derek Higgins at 10:30. Mia's Bongo Room is located at 6113 Maple Street in Omaha. Festival admission is $10 (single-night pass) or or $30 (entire festival). Visit www.midamericanmusicfestival.com for details." download Mo Java's 2008 Summer concert schedule here"
the topic of this year's Searching Together conference is "Life Together in the Body of Christ". Conference runs Thurs 7/17 thru Sun 7/20. I'm sharing at 7pm Friday in music and a talk on "Challenges in Fleshing Out Church Life". Conference is free, discounted lodging available at Holiday Inn Express. For info email or call 651-465-6516." I've been invited to play guitar for the praise band for this event. I'm doing special music as part of First Unitarian's "flower communion" service. This is an annual springtime event where congregants bring and share flowers. (For more click here for their "news" page, and scroll down to "Upcoming Activities & Events")"
No cover charge! I'm on at 9:00pm"
Music will be featured at the Florence Park Gazebo (times to be announced). The theme of this year's expo is "Working Toward a World Without Poverty". Event runs 9:30am - 5:00pm and includes a variety of workshops, speakers, displays and activities. I'll be doing a song or two for the closing ceremony at 4:30pm"
click here for MoJava's Spring schedule"
**New Venue** the CUP is a neighborhood coffee spot located in the historic Bottlers Building at 25th & Randolph, along the Billy Wolfe bike trail. Come check it out with me! Country Jonah in the Fish reunion show! 4:45pm -I just spoke with Mike at the Cup - the weather's not too terribly bad right now, but the little wet snowflakes do seem to be sticking to windshields affecting visibility, and the weather is supposed to get worse thru the evening. I'm thinking it looks like a good night to stay home sipping cocoa (or wine or brandy) and watching a video, and if others are thinking like me, there might not be many of you at the coffeehouse tonight anyway. 7:00-10:00pm, 14227 "U" Street (just south of the Amazing Pizza Machine off Millard Ave) click here for flyer"
no cover charge - tips appreciated! Omaha's foremost open mic event! - after a year-or-so-long hiatus, Earl is reviving his Original Acoustic Jam, and I'm in the lineup for opening night! 8pm-midnight (I'm on at 10:30), free admission, good food and drink. In the historic Farrell bldg at 902 Dodge Street"
I'm not actually a conference presenter this year, but will be attending as a representative of our home fellowship. I'll be doing some music for the Friday evening session. This is a benefit to help some folks in the area who are fighting cancer. Pastor Al has invited me to share my music and for Glory Mtn's "Father's Day" service. If you don't already have Sunday morning plans, maybe I'll see you there! Nice place! Cozy atmosphere, great coffee. located at 6051 Maple St in Omaha's historic Benson district. Starts at 8pm (with opening act "Whitey on the Moon"), free admission"
open jam hosted by Mark Tilton starts around 9:30pm"
music starts around 7pm (I should be up around 10, but timeslots are subject to change without notice - for tentative line-up click here), "
(they could use some greeters & ushers - click here for volunteer info)"
congrats to Eric & Andrea Pruitt! The weekend of Sept 16-17 Pierre SD is host to a major event honoring Vietnam veterans expected to draw 50,000+ people. Sunday morning's program sponsored by CBMC will focus on healing and restoration of the war-wounded. " The weekend of Sept 16-17 Pierre SD is host to a major event honoring Vietnam veterans expected to draw 50,000+ people. I will be part of a free concert sponsored by CBMC as a alternative for those who couldn't get into the sold out Steve Miller/Credence Clearwater concert." 8pm, 1107 Park Ave, 934-4599 with Sarah Benck! hosted by Church of the Resurrection (Episcopal) - I'll be leading the worship band! 6-9pm, held at the Joyo Theater, 6102 Havelock Ave.
24th & K, Omaha, 10:30am? 10:30am & 7:30pm, 7515 Morgansford Rd.